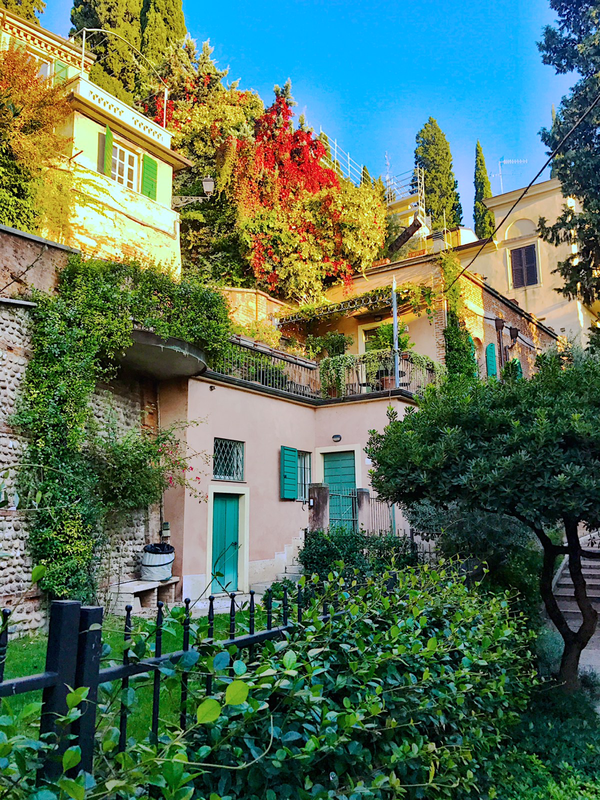 Verona is famed for being the home to the tragic lovers, Romeo and Juliet. 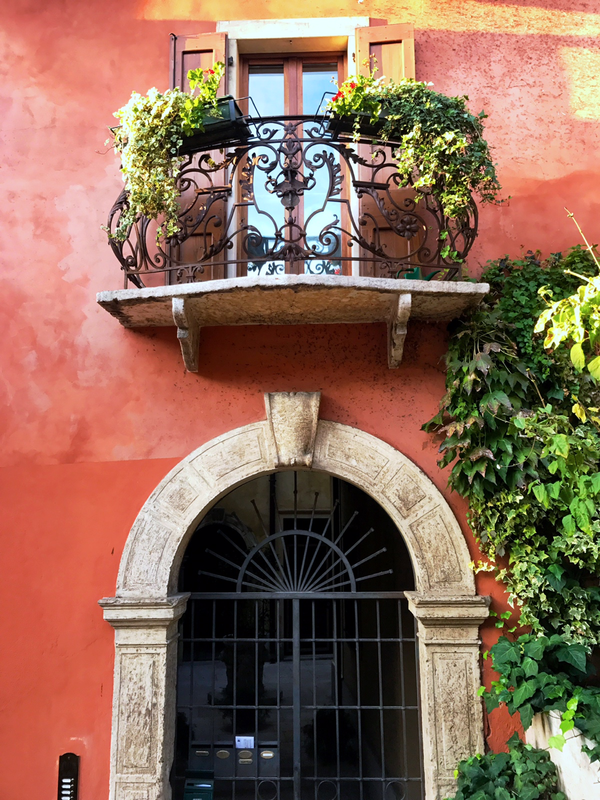 Juliet’s home, Casa di Giulietta, sees thousands of visitors a year and there are multiple traditions (from writing letters to Juliet to rubbing the right breast on her statue) for those wishing to channel the spirit of Juliet in hopes of receiving her blessings to find love. Many people travel to Verona solely in search of Juliet’s home, and her love blessings, myself included. 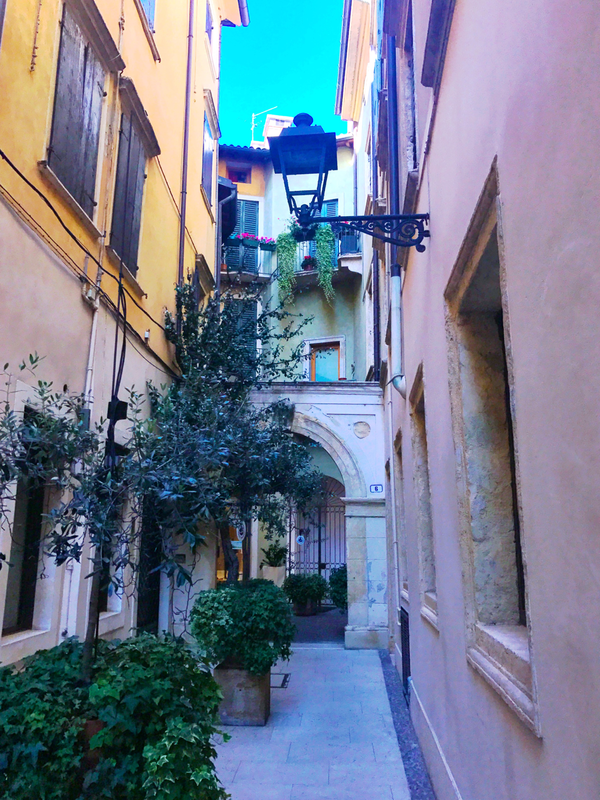 Casa di Giulietta was on the top of my “must-do” list for Verona and almost immediately after starting my walk to her home from my Air B&B, I began to fall in love with Verona. 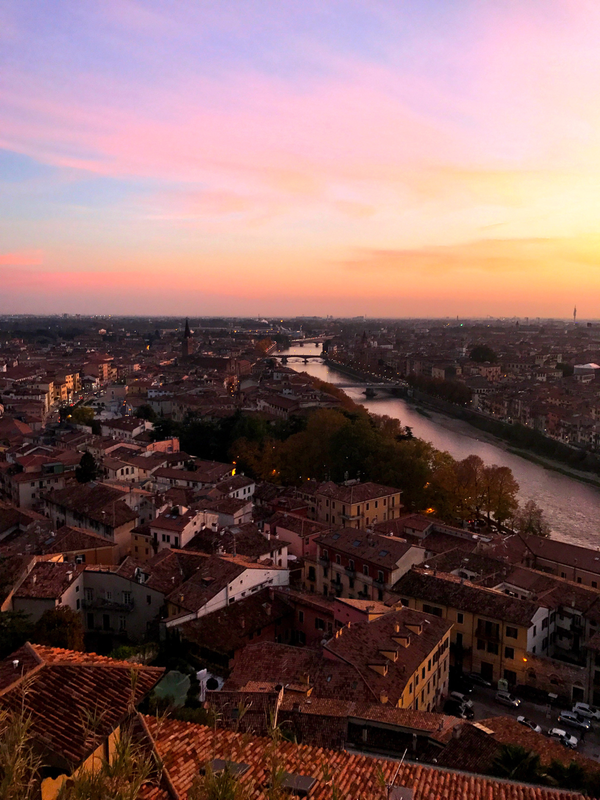 When they refer to Verona as the ‘city of love’, one jumps to the assumption that the title is tied to Romeo and Juliet. After getting lost in Verona, I fell in love with the ‘city of love’ and the term had a whole new meaning! 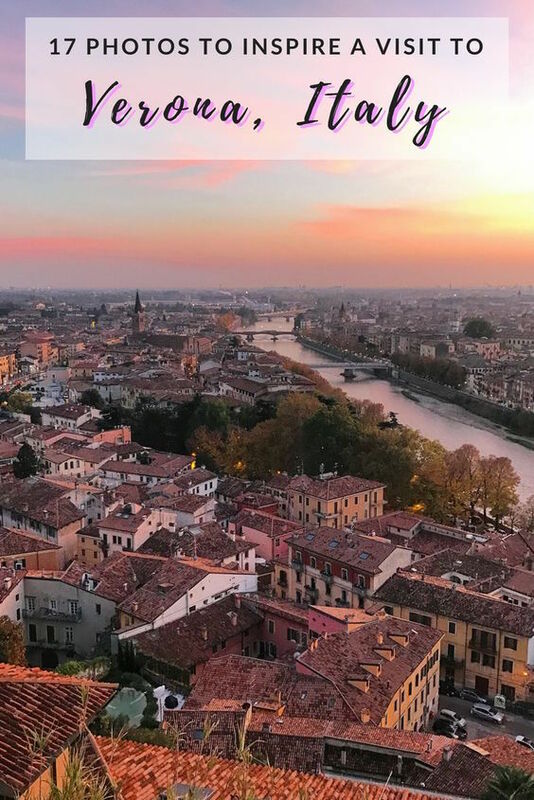 I’m sure that my photos will inspire you to add Verona onto your bucket list, follow along below! Verona is only about an hour and fifteen minutes from Venice and the architecture is reflective of the close-proximity to the floating city. The Venetian influences can be seen throughout the city. 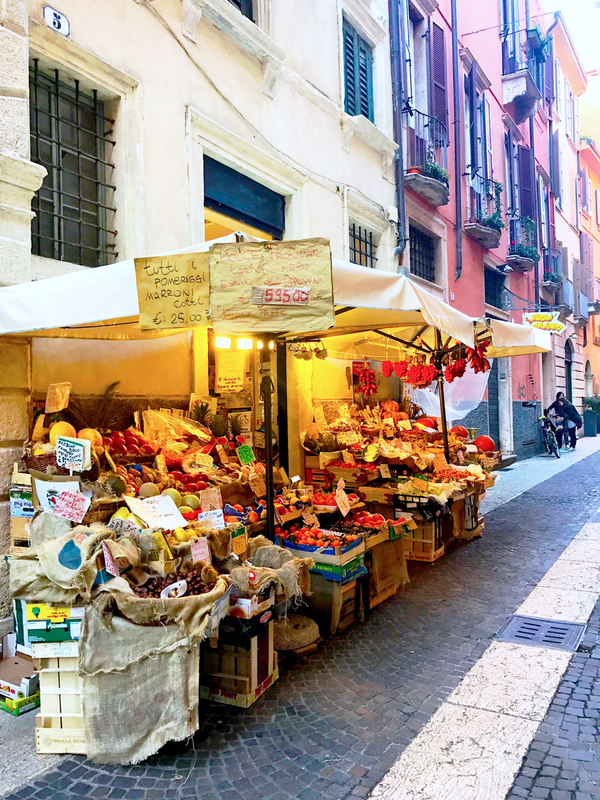 A quintessential Italian fruit and vegetable stand. Just an average home façade. NBD. Speaking of home facades, can I move in? 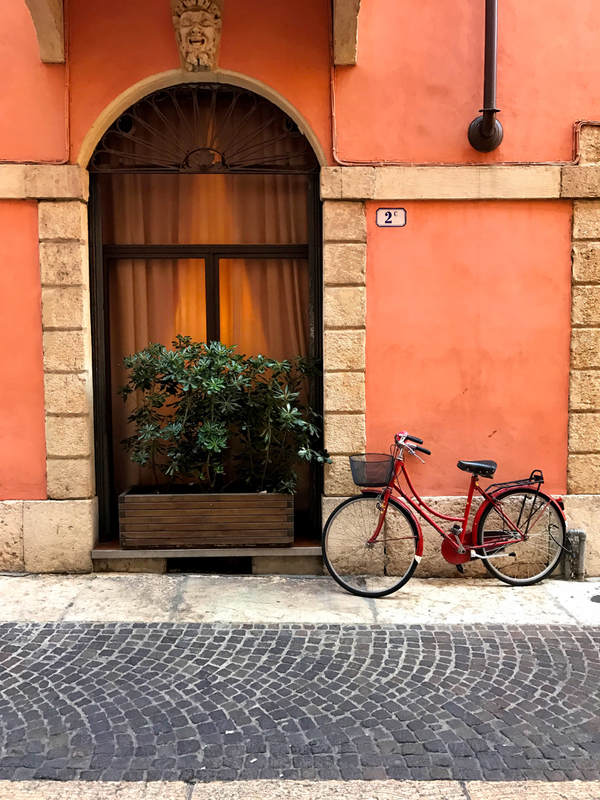 The streets of Verona are not only quaint but they’re also quiet. Perfect for exploring and getting lost. The homes and businesses along the banks of the Adige River are picture perfect. The vines and moss growing along the river banks just add to the charm. #PinkHour views over the entire city from the viewpoint at Piazzale Castel San Pietro. 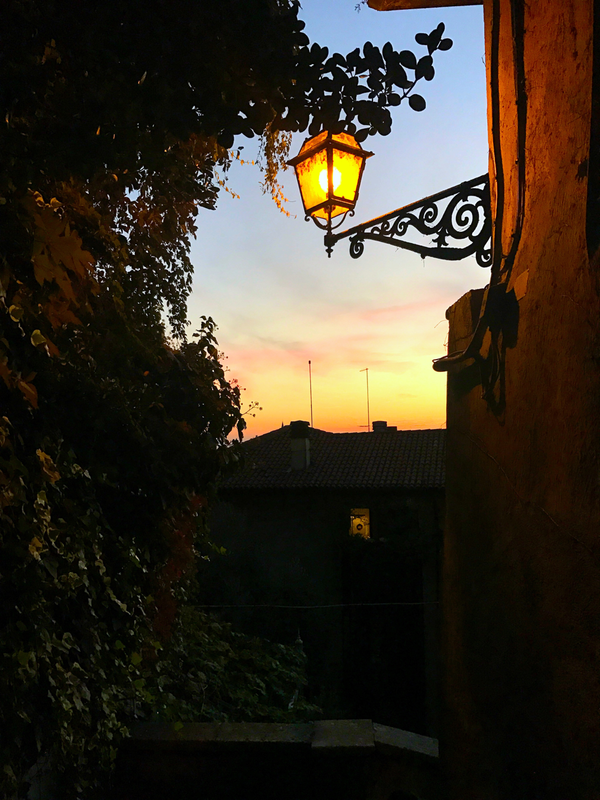 The sunset views and hues from the Piazzale Castel San Pietro were picture perfect. The #PinkHour over the city got pinker and pinker as the sun faded away. 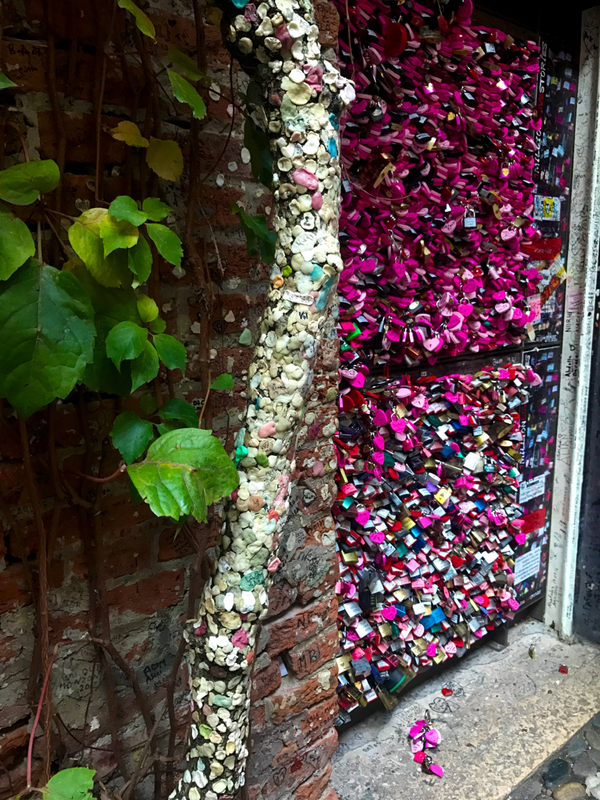 Although gross, in my personal opinion, those hopeful for love leave behind gum and love locks at the home of Juliet. Just when you think it can’t get any cuter you stumble upon a nook like this one. I couldn’t get enough of the picturesque corners, especially during #PinkHour. 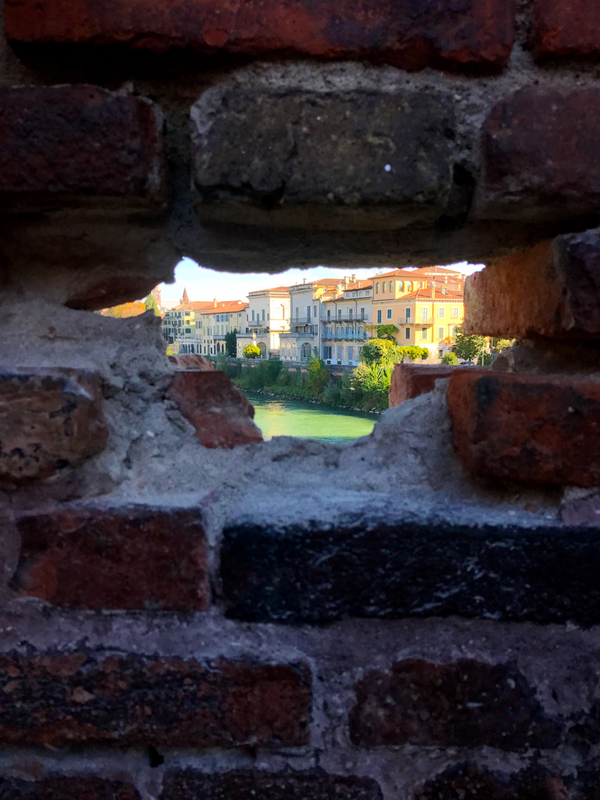 You can even find beautiful Verona views and hues when you peek through cracks in the brick. 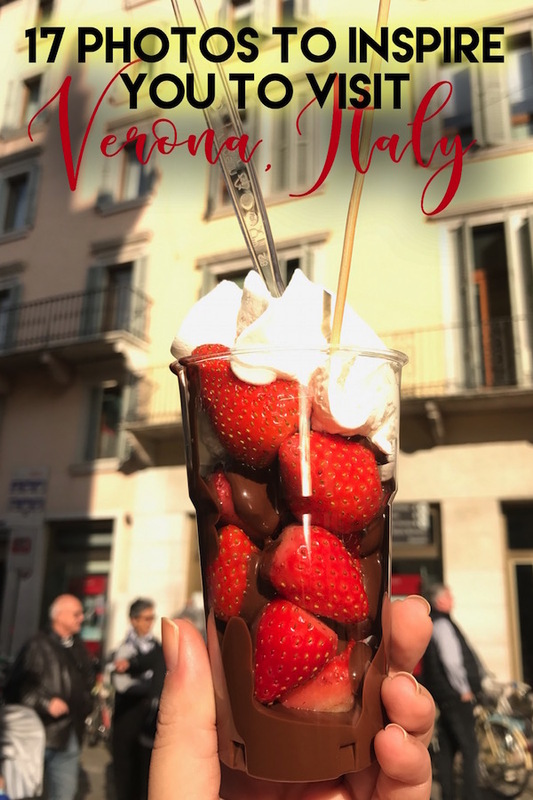 And if all the beauty of the city of Verona didn’t convince you to visit, let me just end this on a “fresh strawberries covered in warm melted milk chocolate topped with fresh whipped cream” note. I was sold at the windows and the colourful houses…they look so romantic. And then, I came to the picture of the strawberries!! I am totally sold 🙂 ! 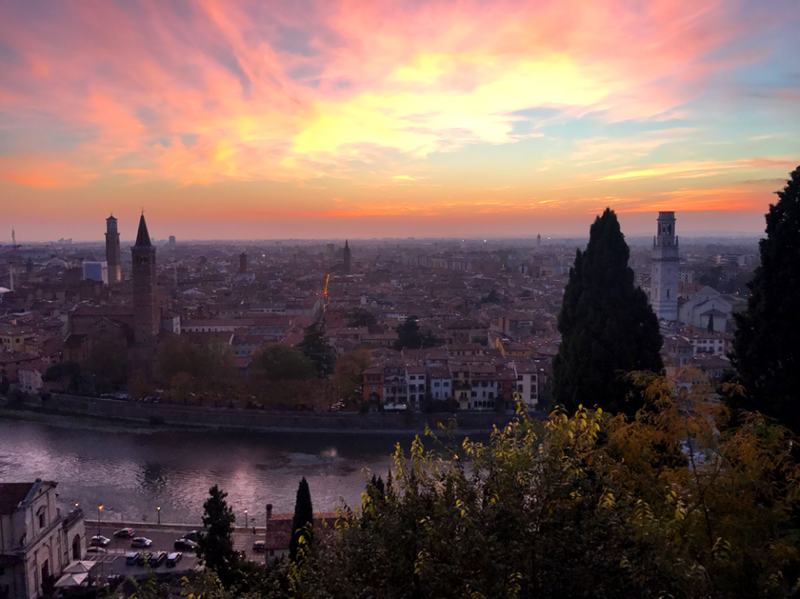 Look forward to visiting Verona when I visit Italy next year…thanks for the awesome pics! Those. Strawberries. Were. To. Die. For. 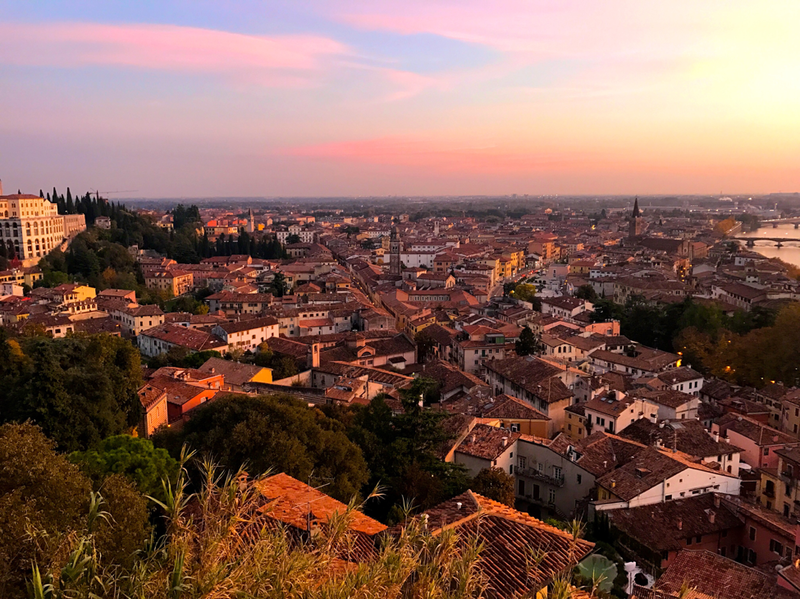 I can’t suggest adding Verona to your Italy itinerary enough! I don’t need 17 photos – you had me at the first one! Seriously though, the photos just get better and better as I scroll down. Italy is such a romantic country with several beautiful cities and towns like Verona. Those cobblestone streets, colorful buildings, gorgeous windows and doors.. ah it’s like a every traveler’s dream to capture those in photo! Thanks for your wonderful compliments. Verona truly was a dream! What strikes me the colours! 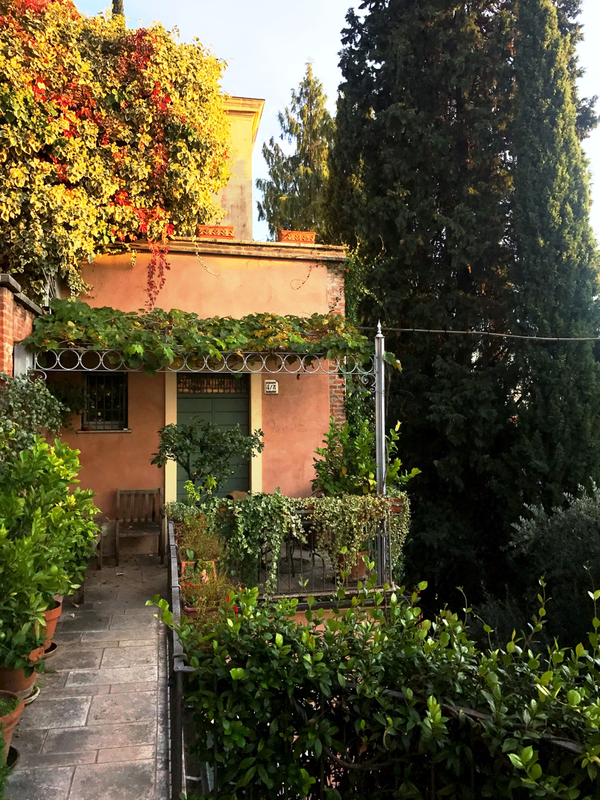 These photos are indeed heavenly and making me want to go to Verona immediately! I love Italy but haven’t made it to Verona as yet.. I will now!! 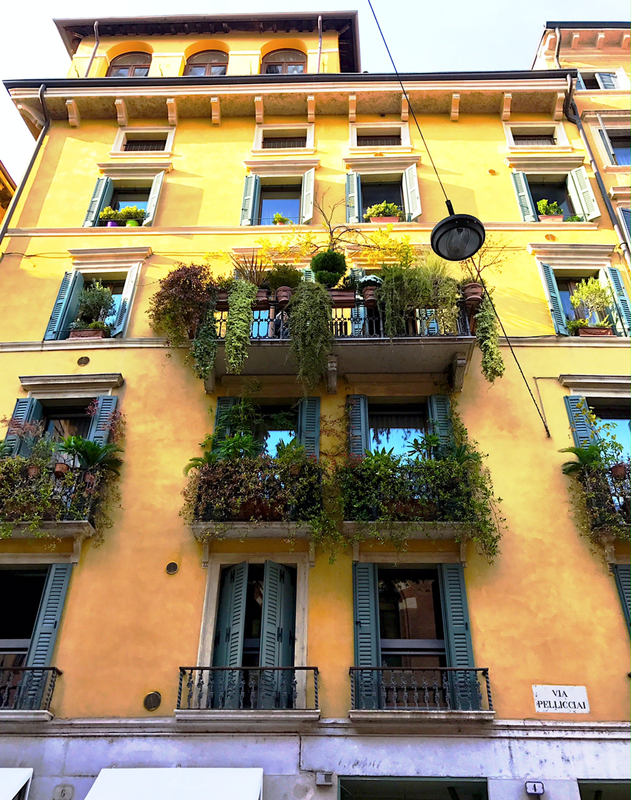 Most people don’t plan Verona in their Italy itineraries! Major cities like Florence, Rome, and Venice are at the tops of most bucket lists and this beautiful gem of a city goes unnoticed! You had me at the first picture!! So desperate to visit Italy but saving it for our honeymoon, need the ring first though :p haha that sunset from the Piazzale Castel San Pietro was just perfect! Italy would be the ideal honeymoon destination!! Consider me inspired! Such beautiful photos, especially at pink hour. Will definitely visit Verona when I (eventually) make it to Italy! 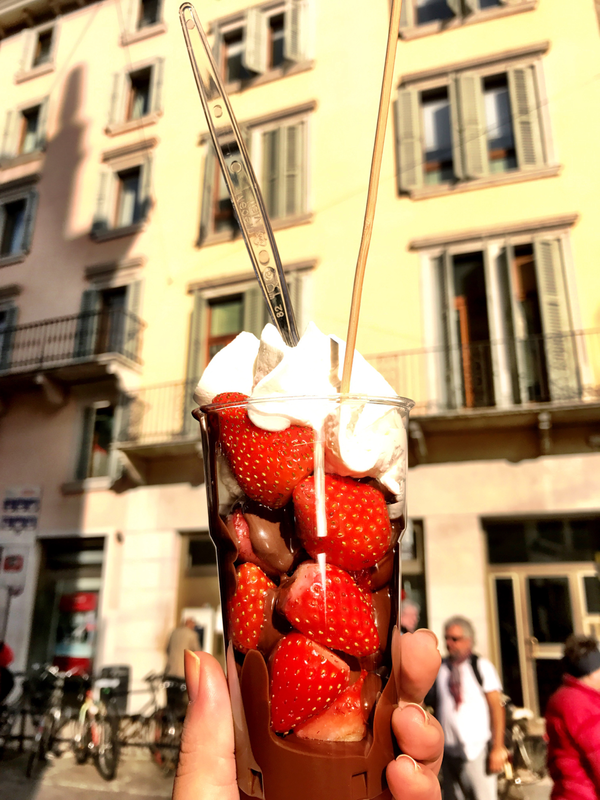 Oh and those strawberries…yummm!! Oh my gosh! I’m so jealous you live in Italy LOL especially so close to this beautiful city. <3 I hope you get to visit again and thank you for the wonderful compliments. These photographs are stunning! 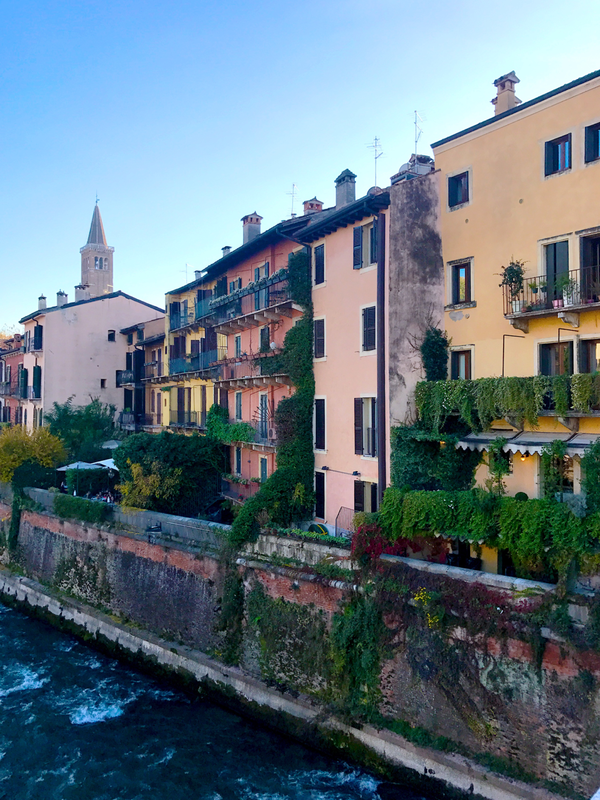 We didn’t get to Verona on our Italy tour, but wish we had now – it’s just so beautiful! I love the pretty houses and the views above the city – and that sunset is to die for! Thanks so much for the wonderful compliments! 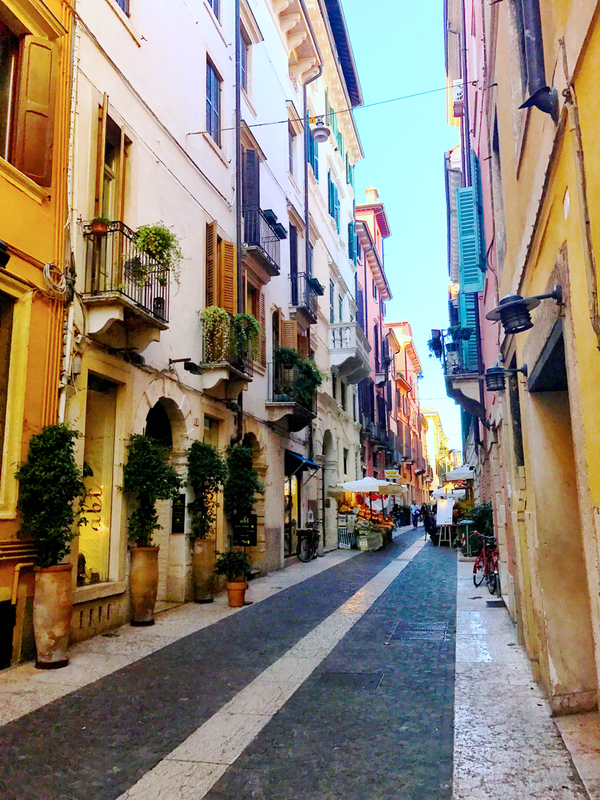 I’d definitely add Verona to your next Italy itinerary! I thoroughly enjoyed Verona when I travelled there in 2014. I too found the gum slightly gross and opted to sign the graffit walk instead. It was a bit of a letdown as for Letter to Juliet they made it seem more romantic. 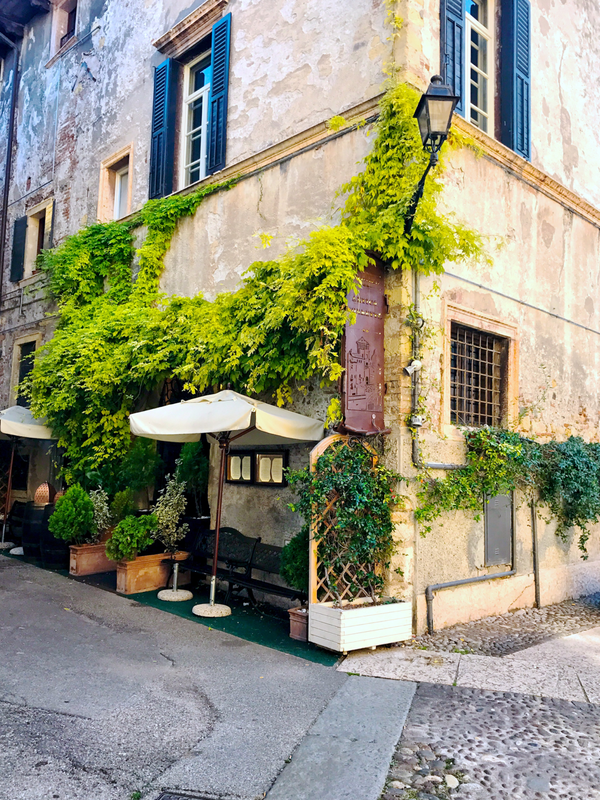 it is such a lovely part of Italy that usually gets overlooked by other cities. The gum was TOTALLY gross. I think it was an under-whelming experience in general but the city was an extremely pleasant surprise that made my heart skip a beat. I am visiting Verona this weekend…I am so excited! Thanks for sharing these beautiful photos!